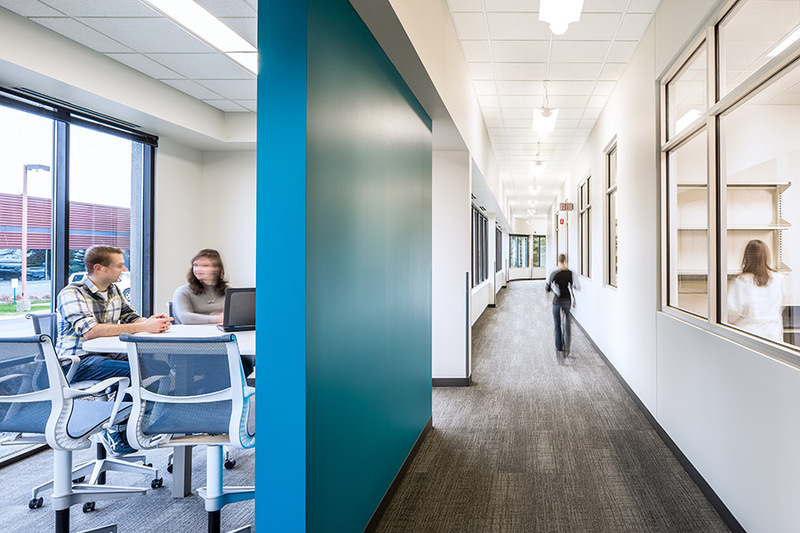 The Cargill Minneapolis R&D Center facility works to maximize collaboration through formal and informal interactions across research groups and organizational boundaries. The 106,000 SF center consolidates primary R&D capabilities including food, chemistry, imaging, chromatography, biotechnology laboratories, and small scale pilot plant. An engaging customer experience tour path allows views into all of the laboratories, while careful planning provides protection of intellectual property. The work environment is treated with equal importance where daylight and views are brought into each office and laboratory. © 2014 Alliiance all rights reserved.